It's a good idea to choose professionals who are knowledgeable and skilled for any service you need. It's no different with dog trainers and behaviorists. However, with professionals such as electricians and plumbers, there are certification and licensing. Not so with dog professionals. In the United States, licensing and certification for dog professionals vary by state, and county. Some places offer licensing and certification. Others don't. No matter whether there is a professional standard in your state or county, there will most likely be qualified, skilled dog professionals. 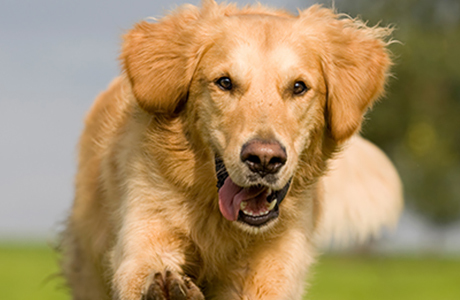 Counties that do register dog professionals simply issue licenses to do business. As of the writing of this book, there are no prerequisites to apply for a license as a dog professional in most licensing counties in the United States. So at this point, a license for a dog professional holds really no meaning at all, in most parts of the United States. This can change in the future but for now there is a big difference from many other professions where licensing requires training and certification holds meaning. You might have seen "certified dog trainer" ads and business cards. Just as there are no standards for licensing dog professionals in the U.S., there are also no standards for certifications. Yes, you read this correctly, there is no national or state standard for dog trainer or dog behaviorist certifications in the United States. That doesn't mean, they are skilled trainers, nor does it mean they are unskilled. It only means tuition was paid to that school, a class was attended and completed, and a certificate was printed. Whether those graduates are capable, depends on the school's curriculum and their own interest for continued and supplemental education. Unfortunately many dog trainer schools (including the largest and best well-known) have a dominantly theoretical curriculum with hardly any hands-on training. Anyone who thinks they can learn how to be a great dog trainer or behaviorist in a class room alone is kidding themselves. All of this is really exemplified by some of the best trainers and behaviorists in the United States and around the world. In any field of dog training, the best of the best tend to all have one thing in common—none of them ever attended a dog trainer school. They learned from other trainers, working “hands on” with dogs for hundreds of hours, and learned to really understand the nature of dogs, how they function, how they learn, and how to motivate them. To become great when working with animals means to keep learning, keep an open mind, never be tied down by any random, people-invented method, and never advocate or follow a one-size-fits-all approach. While there are many similarities and consistencies among all dogs, regardless of breed, there are big differences between individual dogs. For example: If a dog is not food motivated, trying to train it to sit down with a treat won't work. That doesn't mean, there is anything wrong with the dog. It means trying to bribe it with food, is the wrong approach for training. However, if that's all a trainer knows, then he/she might use the excuse that the dog is not trainable. This is nonsense. Every dog is trainable—regardless of age or breed! Yes, every dog is trainable, regardless of age or breed. You just need to be realistic in your goals. If you have a little pug and would like it to become a police dog, it's probably not going to work. That breed is not physically capable of doing the things required in that line of work and last time I checked, the police weren't using pugs. But it can certainly learn to sit, come, stay or lie down on command or fetch the newspaper from the driveway in the morning. I would like to recognize the efforts of the International Association of Canine Professionals (IACP). To my knowledge, the IACP is the only organization providing dog owners with a meaningful quality assurance measure regarding dog trainers. Acknowledging the wide variety of dog training methods—none of them more correct than another—the IACP created a certification program for dog trainers that speaks to the general qualifications of a trainer for achieving results and having received positive feedback from at least six different, past clients for his/her work. The certification title CDT—IACP stands for Certified Dog Trainer by the IACP. This certification is only available to IACP members and probably the only certification that provides any meaningful measure of quality today. But not having this certification doesn't mean a professional isn't qualified. However, in my view it's the only certification with meaning. I am a professional member of the IACP and an IACP certified dog trainer.